D & E Transmissions specializes in automatic and manual transmissions that are by far the most complex of any vehicle system. Our trained transmission technicians are fully capable of quickly diagnosing and repairing your vehicle. There is a big difference between performing a simple transmission service and a transmission rebuild. Our experts will identify the problem, fix it, and prevent other major problems from happening. You can count on our integrity, experience, and professionalism to serve your needs! We fix most of the European cars like BMW, Mercedes, Volkswagens, Audis, and others. D & E Transmissions is here to help YOU in the whole process with the best diagnosis, reparation options, and solutions for your transmission. 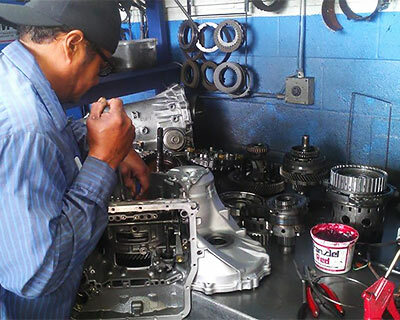 Our technicians will perform a full and accurate diagnosis of your transmission and will make it work more efficiently. We are here for our clients so that they can have peace of mind knowing that they are driving safely. This way, they may focus on the things that matter most in their lives, like family, friends and good times.